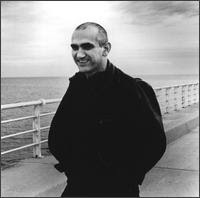 If you were to ask me who my favorite musician is, after a long monologue about how I can't pick just one artist, I'd end up saying Paul Kelly. Here's one of his. Check out his site for some free downloads or to order a CD. PostScript: Paul Kelly has been touring his native Australia doing a show format in which he performs in an alphabetical format, singing a song or two starting with each letter. He's now offering free mp3 downloads in the same fashion. Each month he's posting a couple of songs for each letter. There are now 3 "A" songs available at his Website. Its a good start but sounds like they're performed in an unplugged manner. For a good overview, buy "Songs From the South" which is a greatest hits package. Also check out my song of the day from Feb. 23, 2007: Saturday Night and Sunday Morning.